I have been apprehensive to put pen to paper about this particular experience. There is just so much to cover, even now I can still hardly believe what happened that day and certainly have no regrets with my decision to buy a last minute ticket. 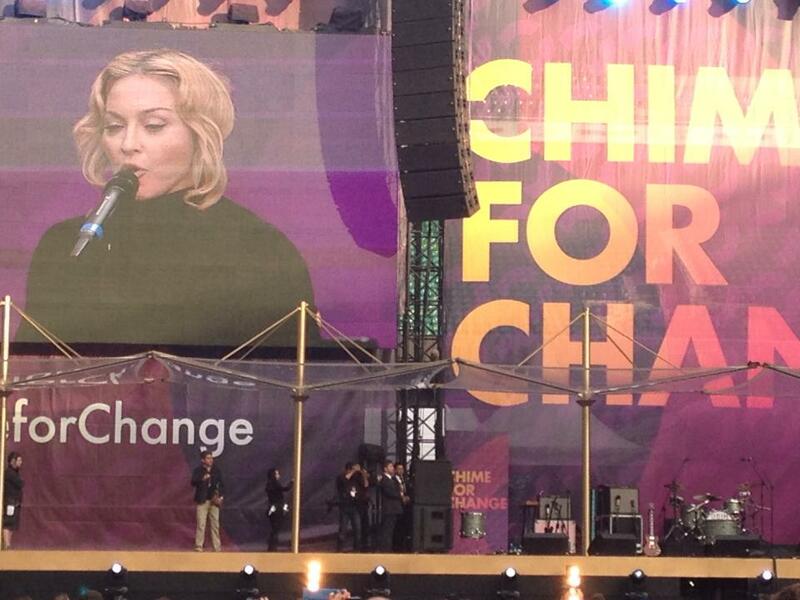 The event was called Chime for Change and the aim was to raise money for something (maybe to do with women), there seemed to be a lot of ranting about women empowerment and women’s education. Celebrity guests who came on stage to give their spiel included Ryan Reynolds, Blake Lively, Selma Hayek and bloody Madonna. When Madonna came on stage the crowd got so excited that everyone just kept shrieking and didn’t give her the opportunity to get a word in, I think she got pretty pissed off. In terms of music, I must admit the line-up wasn’t exactly my cup of tea, I was really only drawn to the event to see Beyonce and add another tick to the list. But seriously OMFG it was actually bloody amazing, I cannot even begin to explain what it was like to be in the crowd for J-lo when she sang Jenny from the Block or when Mary J Blige surprised her on stage. Even as I type this entry I am getting a spine chilling feeling when thinking back to the moment Beyonce came on stage with ‘Who runs the world’ and then Jay-z even made a cameo. This was one of ‘those’ events. One that made news all over the world, one I will not forget. 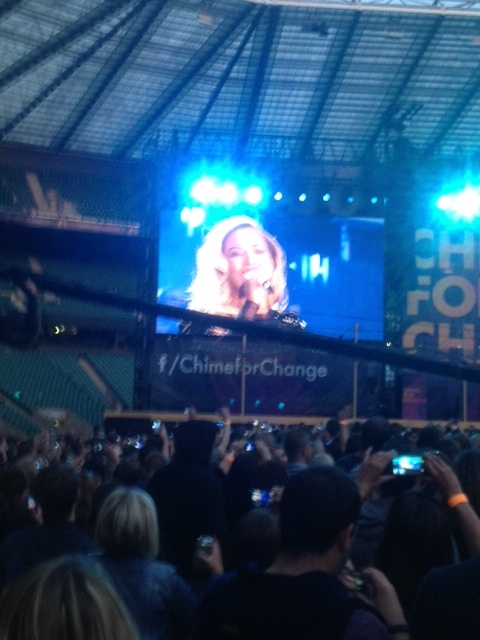 This entry was posted in Uncategorized and tagged beyonce, chime for change, j-lo, jennifer lopez, london, twickenham. Bookmark the permalink.